VOID interieurarchitectuur designed the offices of computer consultant LINKIT, located in Utrecht, Netherlands. Commissioned by IT sourcing company LINKIT, we have been able to set up a complete floor fully devoted to the needs of the employee. The ground floor has brainstorming spots, a lunch area, bar, playroom and various informal consultation places. We have connected these functions through a catwalk that runs from front to back across the floor. 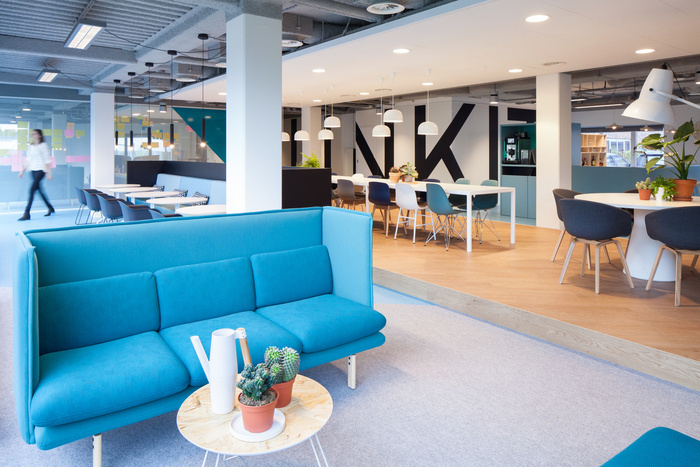 The new corporate identity of LINKIT became the guide to the décor and is clearly reflected in the pronounced color use.